Perhaps the biggest surprise to come out of this week’s conditional approval by the Competition Commission of Vodacom’s R7bn acquisition of Neotel is not that the commission has attached stringent conditions to the deal, but that the mobile operator has agreed to them. The commission, which has taken more than a year to investigate the proposed transaction, announced on Tuesday evening that it would back the deal, but only on condition that Vodacom does not use Neotel’s valuable radio frequency spectrum to provide mobile broadband services to consumers until late 2017 at the earliest. In light of past remarks by Vodacom CEO Shameel Joosub about how urgent it is for the operator, South Africa’s largest by subscriber numbers, to get its hands on additional spectrum, it is somewhat surprising that it’s agreed to this. One can only imagine Vodacom has spent time considering the scenarios in detail and decided it still makes sense. The commission is worried that without attaching the spectrum condition, Vodacom — as market leader — will consolidate its dominant position by receiving “first-mover advantages” that rivals won’t be able to match until government finalises its long-overdue policy on spectrum. An intriguing question that needs answering is whether Vodacom will be allowed to use Neotel’s spectrum to provide non-mobile, or fixed-wireless, broadband immediately. 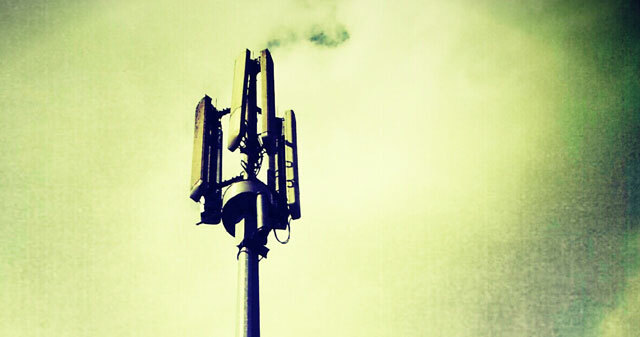 The difference between and definition of mobile and fixed-wireless services is key here. Mobile is typically defined as a wireless service capable of providing “hand-off” between base stations — as a user roams from one tower to another, their call continues uninterrupted — whereas fixed-wireless implies non-mobile but wireless services that are used from a fixed location. Does the commission’s approval mean that Vodacom, through Neotel, is free to build a national fixed-wireless service (using 4G/LTE, for example) on top of the latter’s spectrum assets? Could it then, at the expiry of the commission’s spectrum condition, simply switch on mobile hand-off? The answer to this question, which has broad implications, should become clearer in the weeks ahead. What is certain is that Neotel’s spectrum is incredibly valuable, particularly its access to the 1,8GHz and 3,5GHz bands, which are great for deploying LTE broadband. 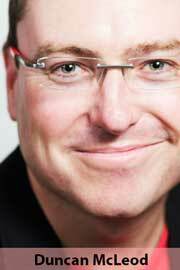 Tim Parle of consultancy BMI-TechKnowledge is one of the country’s leading spectrum experts. He says the 1,8GHz band is the one used most by operators around the world to deploy LTE services and hence has the largest ecosystem of smart devices and base station technologies. The 3,5GHz band is useful for high-density urban applications. Importantly, according to Parle, the two bands could in theory be used together — through a technology called “carrier aggregation” — to allow Vodacom to compete head-on with Telkom, which has a large allocation of spectrum at 2,3GHz. This spectrum, which Telkom is using for fixed-wireless LTE broadband, is one of the operator’s strongest competitive differentiators. The Vodacom acquisition of Neotel could significantly erode that advantage. Competition commissioner Tembinkosi Bonakele says the success of the commission’s conditions is dependent on the government and communications regulator Icasa promulgating the necessary policies and allocating spectrum “for the benefit of the whole country”. In a way, the commission is shining a spotlight on a delinquent policy maker, which must now get a move on with formulating the necessary policies so that the spectrum – particularly in the bands that will be freed up through digital television migration — can be assigned. But spectrum is not the only area where Vodacom’s acquisition promises to shake up the existing order in local telecoms. The operator has already committed to using Neotel’s resources to compete with Telkom head-on in fixed lines. It intends rolling out fibre infrastructure into homes and businesses, joining dozens of start-ups that are already clamouring for a stake in this expanding area. The Competition Commission has got Vodacom to agree, as part of the Neotel deal, to spend at least R10bn on fixed-line technologies and related services in the next five years. It may have been planning to spend that much anyway, but it’s now a formal commitment, which should ensure it actually happens. Rival MTN will have to follow suit, meaning a real tussle with Telkom over fixed lines in the coming years. This is fantastic news for consumers. Maybe in the short run, on the long run VC is destined to become the overwhelming market leader, posing a near monopoly and will take the nation at ransom. We are doomed. While recently on that other tabloid tech forum, users voted VC the most trusted network. In the longer term, we will all be bitten by far more than the legendary OOB shark. VC will be just like that political party with more than 60% majority for more than 20 years, they will do (steal) as much as they like. VC will become the Carlos Slim of SA’s telecoms. Mexico had for many years some of the highest telecoms rates in the world, and maybe still has. Sefricans are more than shortsighted. Seems like Telkom is destined for yet more interesting times? They have only themselves and their woodenly stupid ANC ministers to blame, it couldn’t happen to a nicer crowd. “as a user roams from one tower to another, their call continues interrupted” ? Thanks. Should have been “uninterrupted”. Have fixed in the article. Ja because we are in such a great situation as it is, we should just keep Telkom as a monopoly and not allow anyone to compete against them??? Fact of the matter is that Vodacom has the best (mobile) network in the country – despite all the hurdles put there by government – they also have the deepest pockets to roll out a fixed line network, which they have committed to do, and Telkom can either sit by and watch or invest more heavily, therefore introducing better competition. I suppose you would rather nothing changes and we stay with the current situation? Maybe in 10 years time we will sit with FTTH which is more expensive than other countries, but I can promise you this, if the status quo stays the same, in 10 years we will still be paying huge amounts for ADSL, as we currently do. If there is one thing that Vodacom does well, its rolling out network, so why not give the job to the guys who have the know-how, and then regulate the market more efficiently? Vodacom is a company, providing a service for a PROFIT, in a free market. If you do not like them, vote with your wallet and take your business else where. Who said I do not think that Telkom needs strong competition. I only believe, it would be so much better when we had a stronger challenge to Telkom from the smaller operators. I surely hope FTTH companies like Vumatel can compete with that old parastatal and the big mobile operators, and turn broadband service delivery on its head. Who said I do not understand that VC is a company that looks for maximum profit in a free market environment. Unfortunately the telecoms privatisation has only been performed in a very poor way, leaving Telkom still for the largest part owned by Gov, and left the two major mobile operators doing their thing unsupervised and unrestrained. I am all in favour of a liberal fee market economy, but it does not mean we can do without a certain degree of regulation and supervision. For a good football or rugby competition or league in this country, we need a good organisational framework provided by SARU and SAFA, plus truly firm, competent and independent referees at every match. But in telecoms country, the Gov and ICASA have been too often unduly involved in fields where they should not have mixed into, and not independently intervened when they should have. Find my opinion on VC, part of the colluding duopoly in my many posts on this subject in my Disqus profile, but especially my last post on this subject below the TC article : Concern over ICASA delay on Neotel sale. I still have to write another reply to William about the failing politicians and lawmakers, who allowed collusion and profiteering at the cost of the consumers, the majority of Seffricans. Oh, yes and I happily parted ways with VC in 2008, and only make use of the smaller operators, Cell C and Telkom Mobile. My old 082 number is still on Virgin Mobile. Cell C gives adequate internet in this area, I am on my 4th or 5th Giga 200 Prepaid Data bundle.